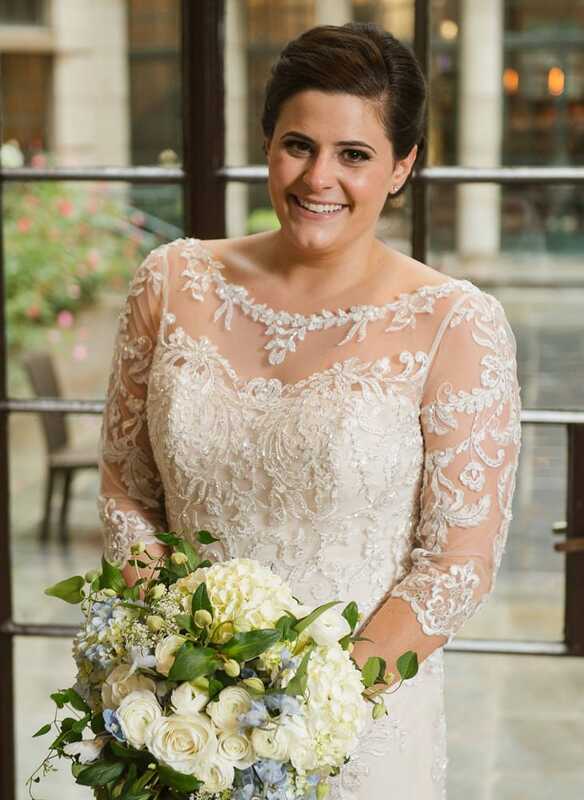 Maggie Bride, Jen, is the perfect example of how a match made online can work out for the best! 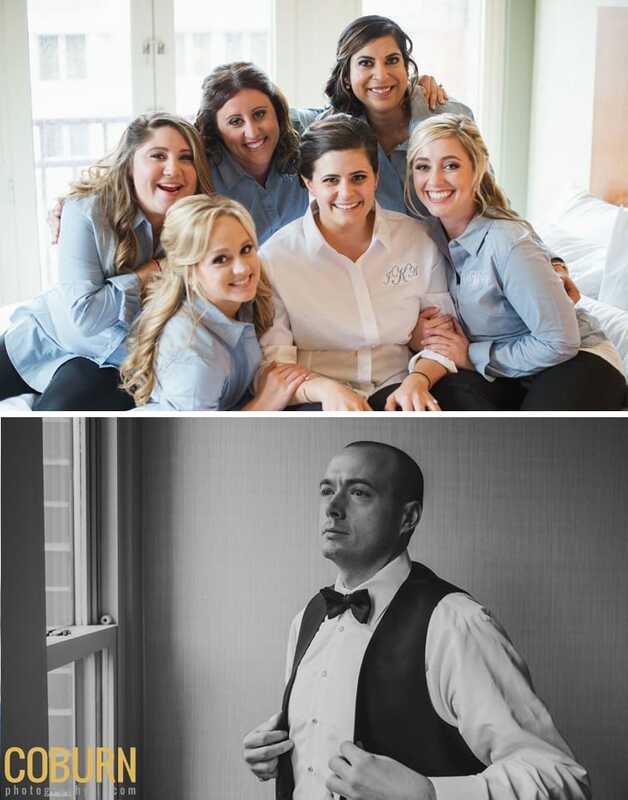 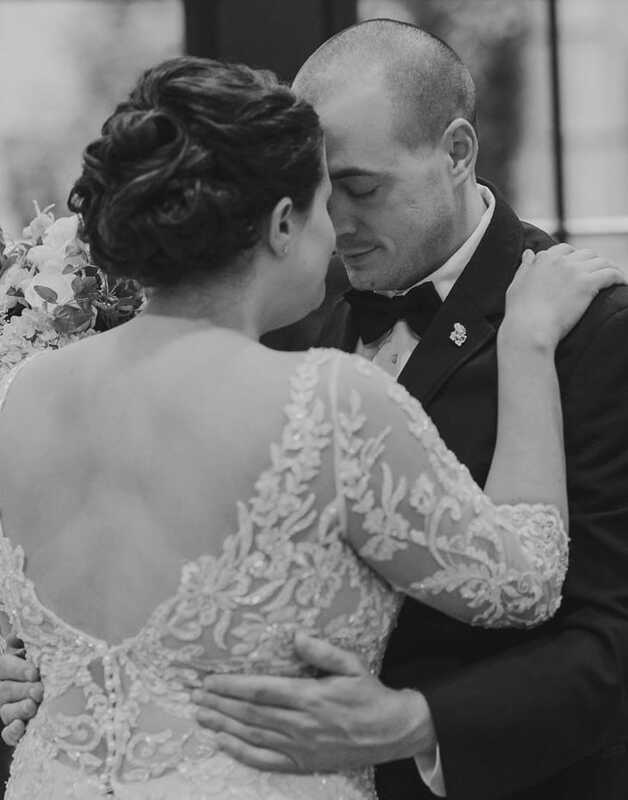 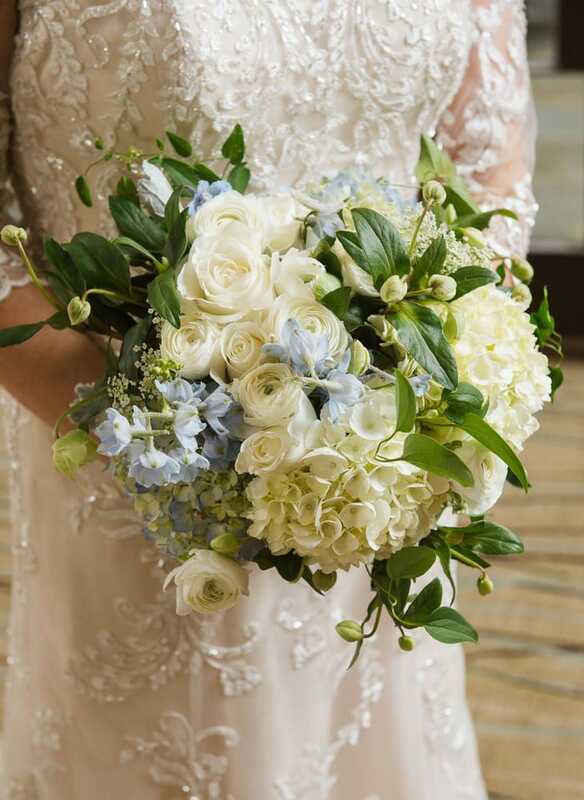 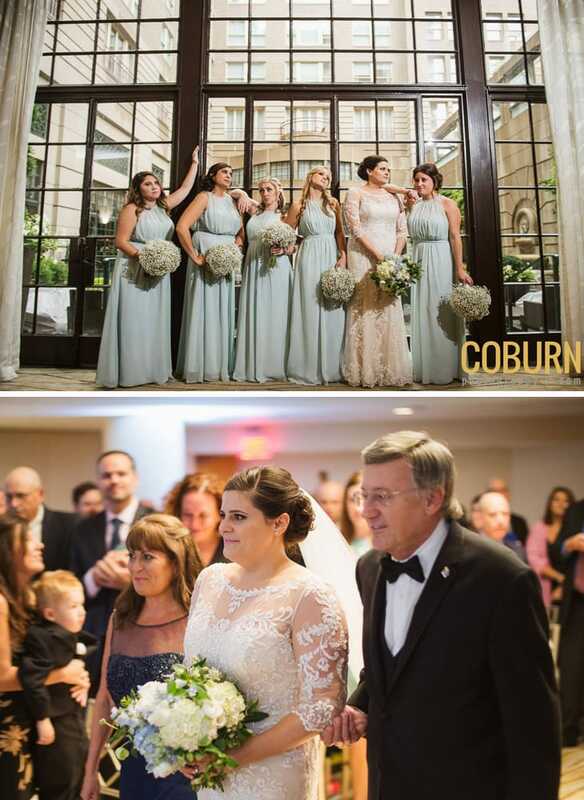 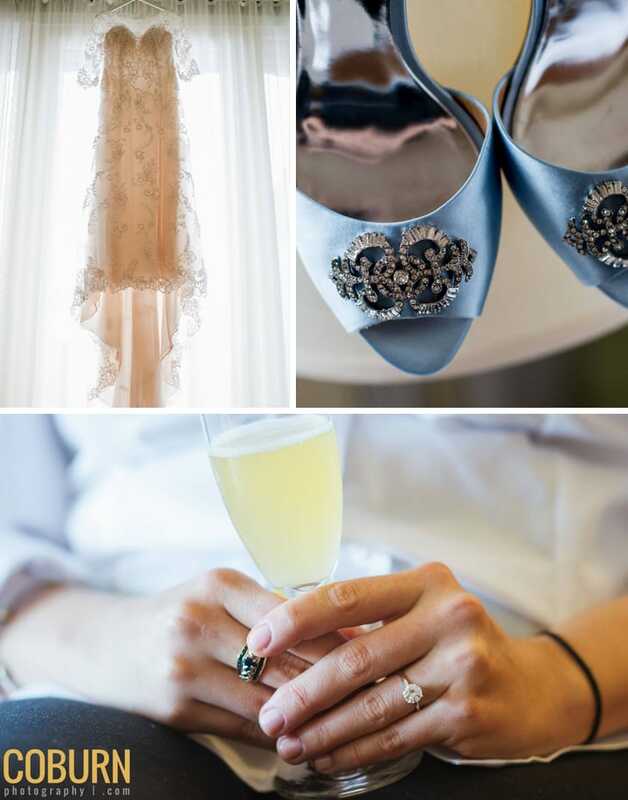 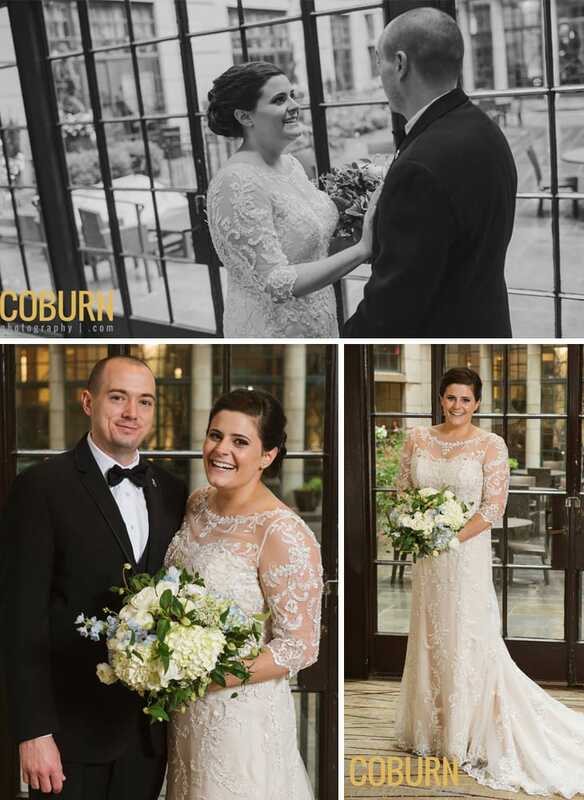 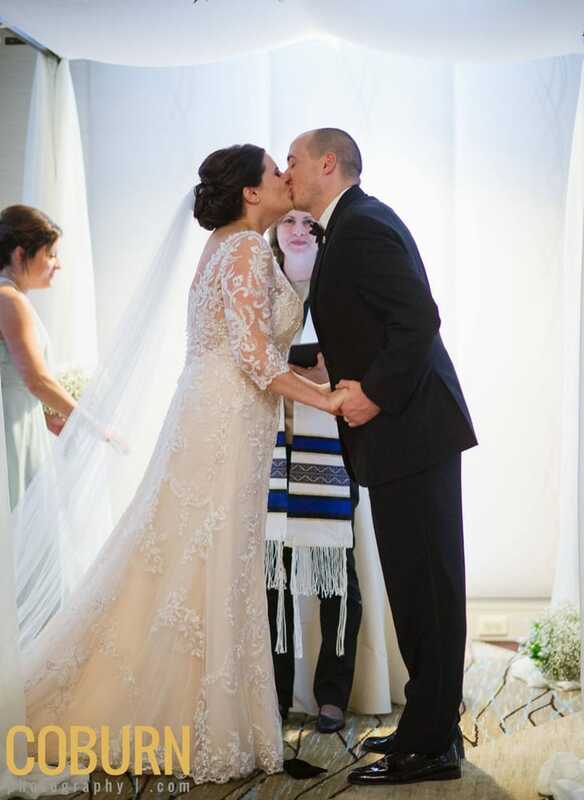 Jen and her now-husband met on the popular dating website, eHarmony, and are, “Just waiting for that phone call to be in a commercial!” Jen describes her wedding as elegant and romantic, two words we would also use to describe our wedding gown, Verina by Maggie Sottero. 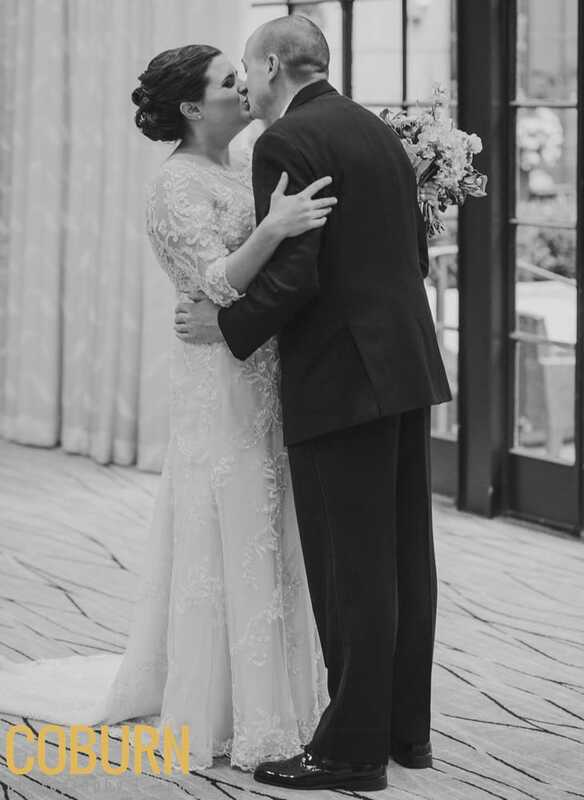 We love the way Verina’s dramatic illusion lace back and illusion sleeves complemented Jen’s soft and feminine bridal look. 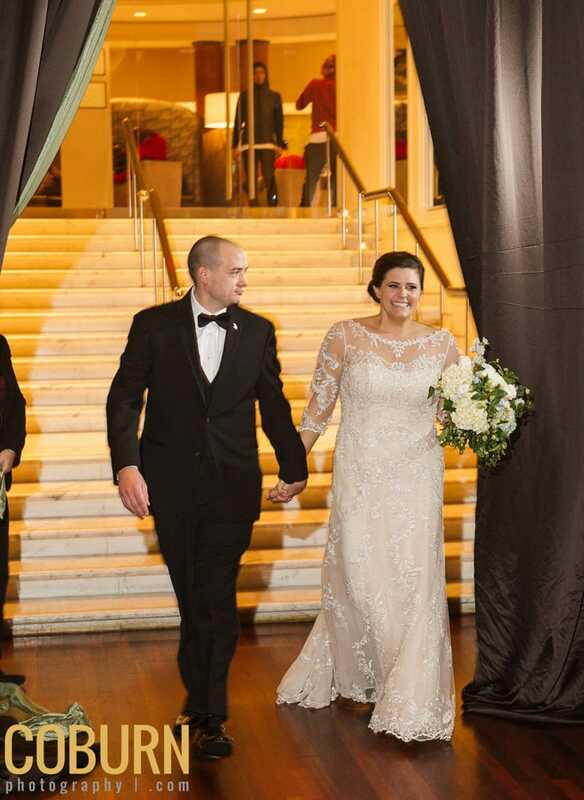 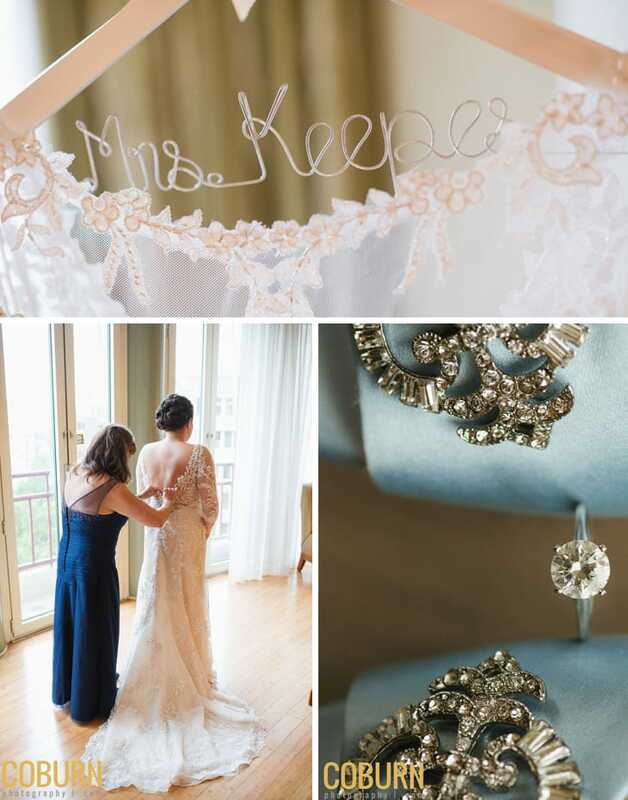 Jen loved the way our hand-embellished sheath gown with glimmering lace appliques “sparkled” under the light at her wedding. 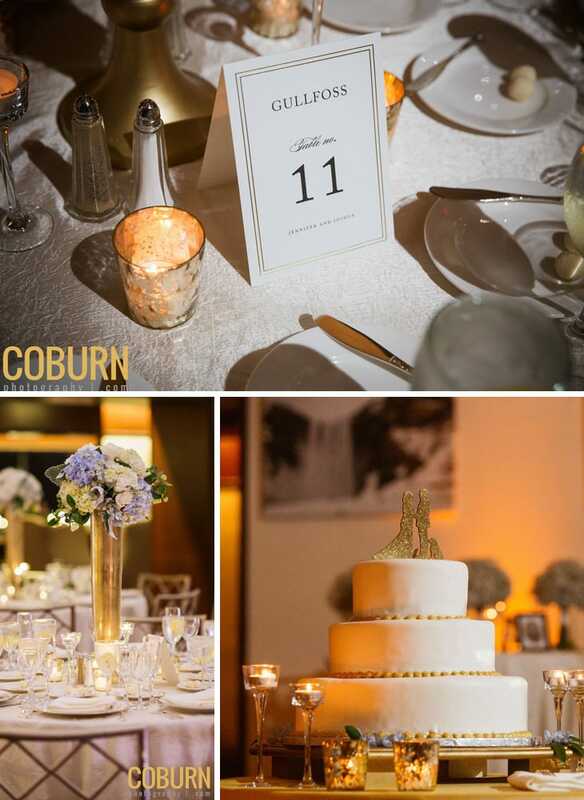 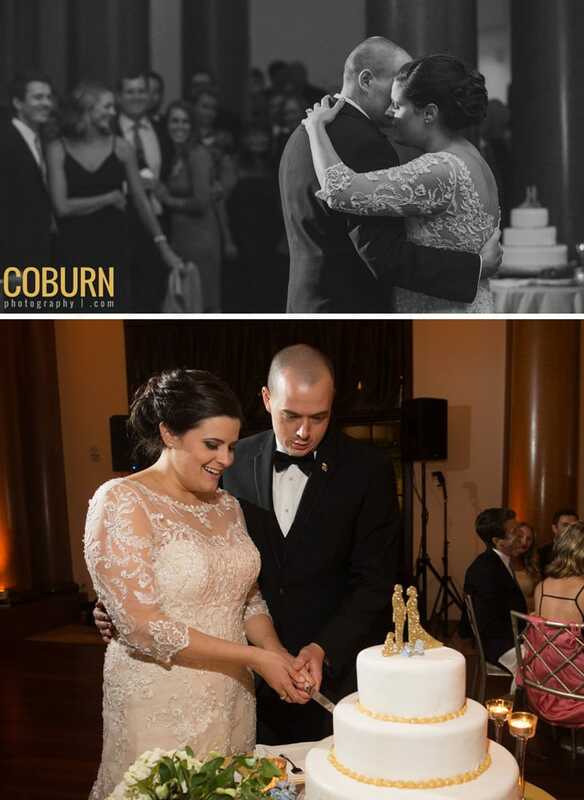 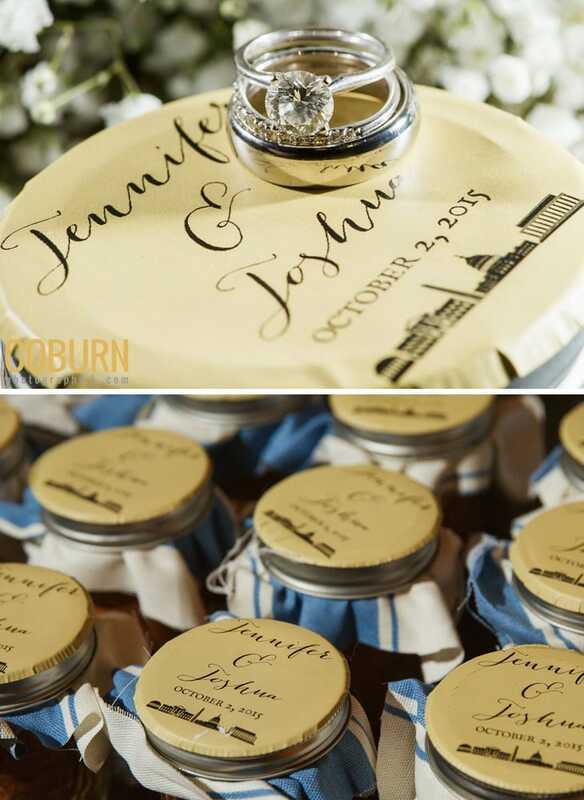 See Jen’s wedding day pictures and read all about Jen’s personal and “perfect” celebration below!